This will then pull up a list of your contacts. Select the ones you want to create subjects from, and it will then create a new entry for each one. 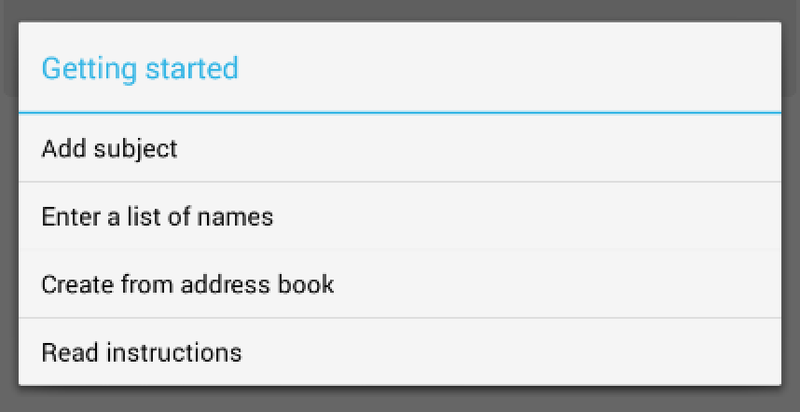 If you created somebody using the “Create from address book” option then their email / mobile number will be prefilled. I hope soon to be able to add the option to retrospectively link an existing subject to an address book entry, but I haven’t had the chance yet because of all the other features I’ve been working on! 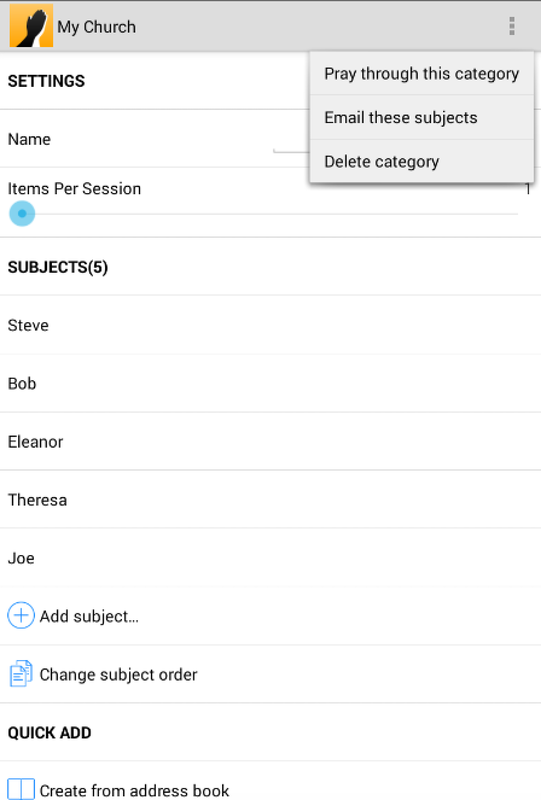 When you tap into a category’s settings menu, hit “Change subject order” and as well as being able to manually reorder subjects, you’ll now also get options to sort them alphabetically, randomise the order, or turn on the new “auto-shuffle feature”. Sometimes people find that always praying for people in exactly the same order gets a bit repetitive. Turn on “auto-shuffle” on a particular category, and every time you’ve prayed through all the subjects in that category it will randomise the order for the next time you pray. 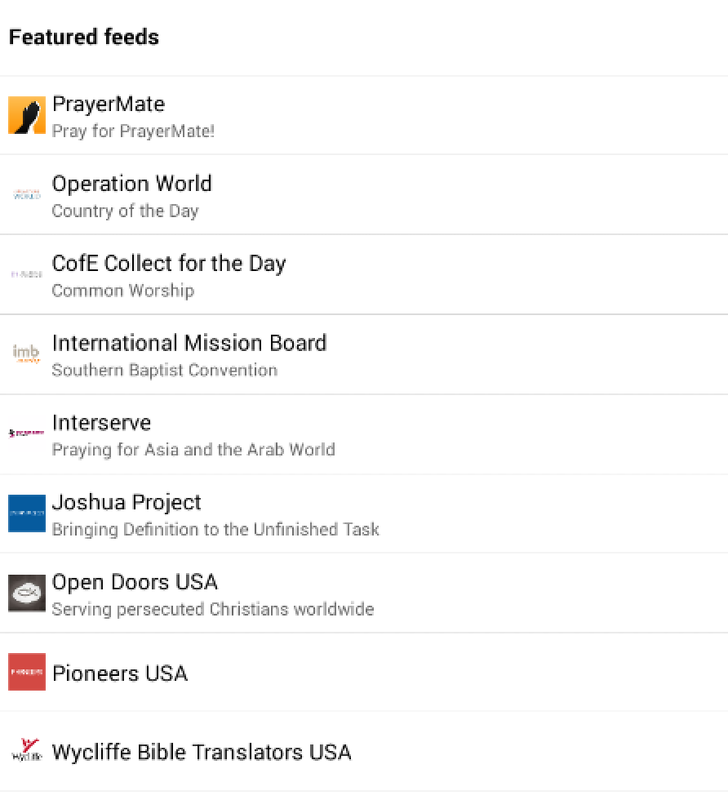 Other recent changes you may have missed is the concept of “private feeds” – churches or organisations who sign up at http://www.prayermate.net/publishers can now publish feeds that don’t have to be publicly advertised in the feed gallery. You’ll be given both a private URL and a QR code that you can share with your supporters, and they can use either one to subscribe. You might also notice slightly more dynamic content appearing in prayer feeds, as they now support links and embedded images. 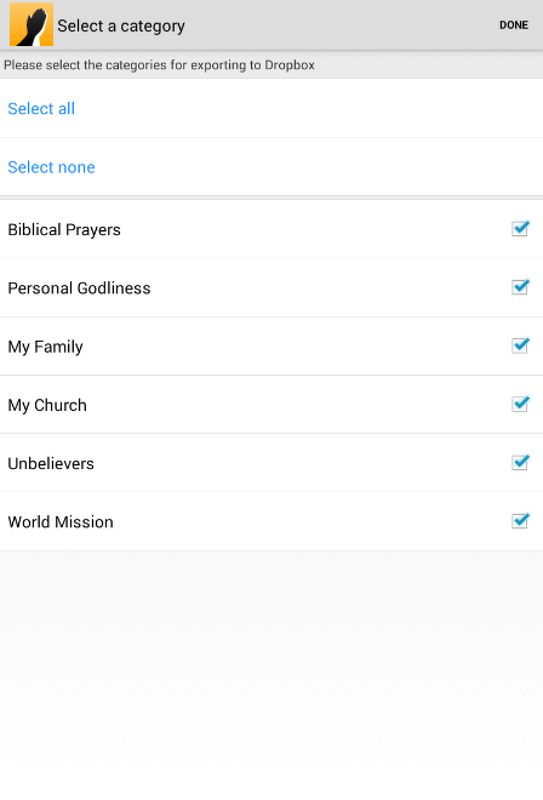 PrayerMate is a free app on iOS and Android to help you pray regularly and faithfully. As well as all of your personal prayer points for friends and family, you can also subscribe to regular updates from over 100 different Christian charities and churches, as well as downloading suggested prayers from the gallery.